The reality star 'fake-tried' to get pregnant while married. After her recent bombshell that she may not be able to get pregnant, Khloe Kardashian has confessed that she pretended to get fertility treatment while married to Lamar Odom out of concern about bringing a child into their toxic relationship. She revealed the news on 'Keeping Up With The Kardashians'. 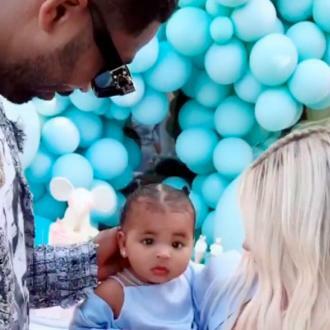 Khloe Kardashian was shocked to discover that she may never be able to get pregnant after attending a doctor's appointment to explore being a surrogate for her sister Kim Kardashian, whose own circumstances make it dangerous for her to have another natural birth. However, fans were more shocked to discover that she 'fake-tried' to get pregnant while married to Lamar. 'I was married, but I knew the circumstances weren't the healthiest so I just kept pretending I was doing it', she told her doctor in a clip from the forthcoming episode of 'Keeping Up With The Kardashians'. The season finale of 'Keeping Up With The Kardashians' premieres on June 11th 2017.